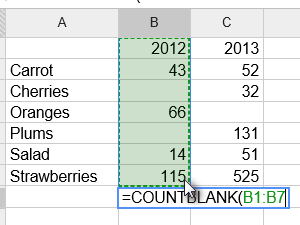 Google Spreadsheets supports cell formulas typically found in most desktop spreadsheet packages. 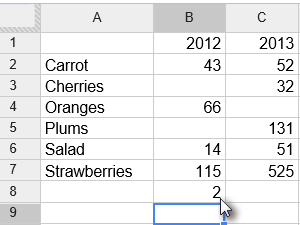 In this lesson we will calculate the numbers of empty cells in a Spreadsheet. 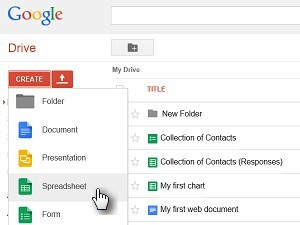 Open your Google account and create new Spreadsheet. You can also copy mine. 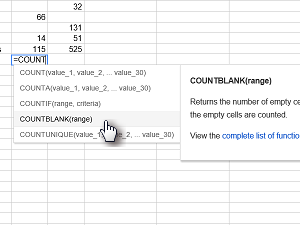 Now select the cell where you want to calculate numbers of empty cells. 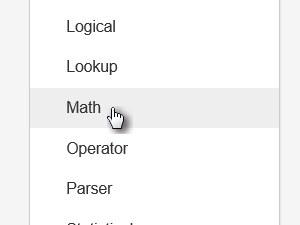 Now find the function you want. In my case this is COUNTBLANK(). 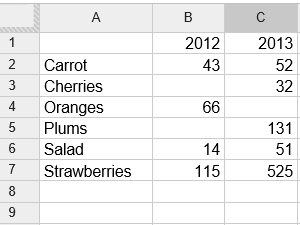 Type an equal sign in selected cell. 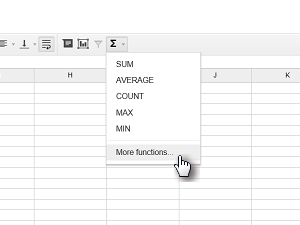 Auto-suggest will show a box displaying the name and syntax of the formula you're building. 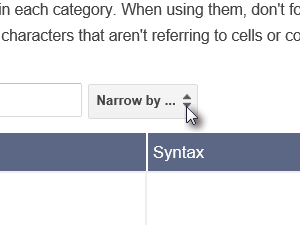 Select the function you want. 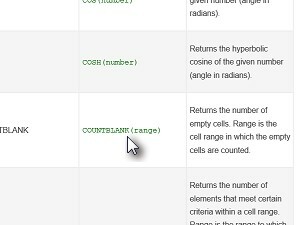 Select the range of the cells you want to calculate and press ENTER. In my case I have 2 empty cells in column B. 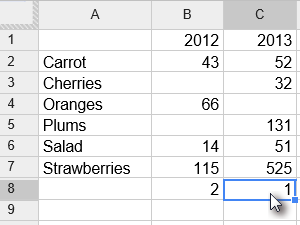 Now we will use the same function in the other column. 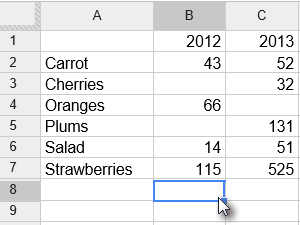 Select the cell where you just calculated the numbers of empty cells and press Ctrl + C to copy the function. 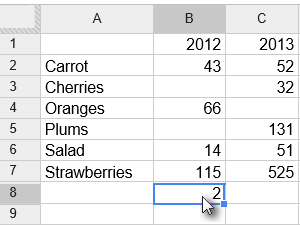 Now select the cell in second column, where you want to count numbers of empty cells and press Ctrl + V to paste the function.